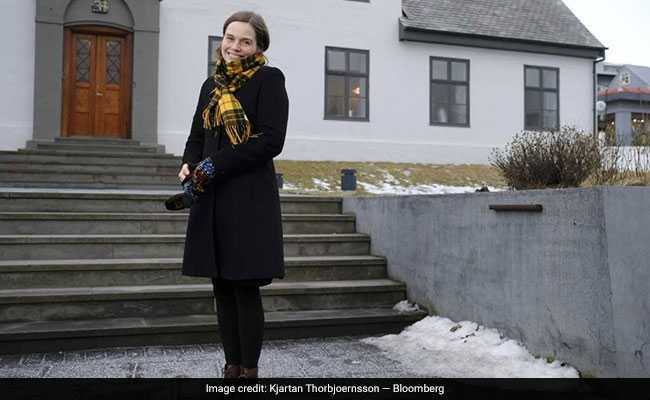 At the end of last year, Katrin Jakobsdottir became the second woman in the history of Iceland to lead her country's government. The 41-year-old newly elected prime minister of Iceland is a former writer and teacher, has three children and likes quoting the philosopher John Stuart Mill. At the end of last year, Katrin Jakobsdottir became the second woman in the history of Iceland to lead her country's government. As head of the Left Green party, she's promised to put an end to the financial debacles that have made headlines over the past decade, such as the spectacular banking meltdown of 2008 and the more recent tax-evasion scandal revealed in the Panama Papers that brought down a prime minister. But banking and tax misdeeds aren't the only areas Jakobsdottir wants to fix. As the leader of a country that consistently tops rankings as the world's most gender-equal society, she says the status quo just isn't good enough. "Gender equality is an ongoing project and we probably never will be there," she said in a recent interview at her office in Reykjavik. "It is like John Stuart Mill said: It's the inequality that has the deepest roots in us all." #Metoo was an eye opener even in Iceland, Jakobsdottir said. In fact, it was a "revolution," revealing not just sexual harassment, but uncovering a world in which entrenched inequality and power games have festered unchallenged. Jakobsdottir says Iceland's decision this year to force employers to pay men and women the same amount of money for the same job, through unequivocal legislation, was just a first step. "If we really want to achieve gender equality we need to do radical things," she said. "We need to use legislation where we haven't seen anything happening." The #Metoo movement, which started over revelations of sexual abuse in Hollywood, has since swept across the globe, bringing down men at the very top of their hierarchies in politics and media. Jakobsdottir, Europe's youngest female leader, says politicians need to harness that momentum and ensure the they don't miss an opportunity to bring about real change. As the leader of a coalition that straddles socialists, environmentalists and conservatives, Jakobsdottir presides over Iceland's first grand coalition. She has pledged to rebuild the island's "public structure" after years of austerity. At the same time, she's aware too much government support might result in a new wave of overheating, as Iceland's economy grows much faster than the European Union. The risk, as in the rest of Europe and the U.S., is a populist backlash, and Jakobsdottir says her job will be to bridge the political divide. "That's real challenge for politics, because not only do we see after the economic crisis this growing concern of the people because of austerity measures but we are also seeing a society that is more fragmented than before," she said. "This is also why I thought it was an interesting project to enter a grand coalition," she said. "We have to take notice of other people's opinions and not just be in our own Facebook bubble and listen to people who agree with us."